It’s a patented, magnetic educational resource that’s ideal for 3-11 year olds. Adaptaboard has a unique grid that supports Numeracy and Literacy activities. 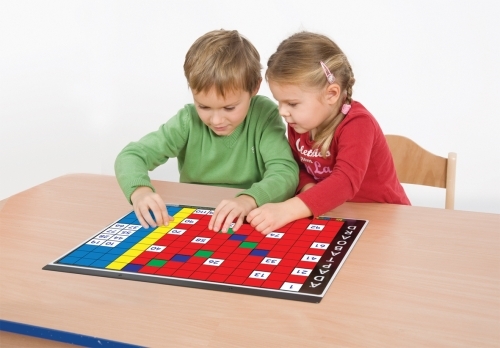 Basic and Advanced products contain ‘magnetic tiles’, ‘activity workcards’, ‘learning objectives’ and of course, an Adaptaboard. Become familiar with the all important 100 Board! Recognise numbers and their properties and investigate number patterns and sequences. A powerful visual aid when calculating!